1927 - Pierre Alechinsky is born in Brussels. 1944 - Alechinsky studies at the Cambre National Superior School of Architecture and Decorative Arts in Belgium, where he learned illustration, printing techniques and photography. 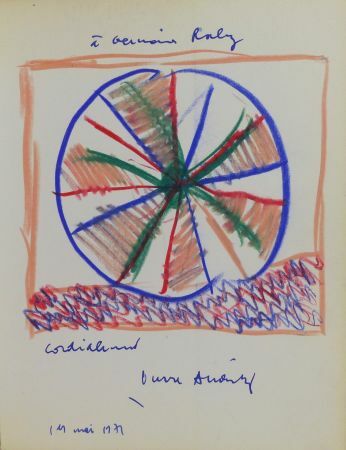 1949 - Alechinsky meets the poet Christian Dotremont, founder of the Cobra movement along with Karel Appel and Asger Jorn which he joins. 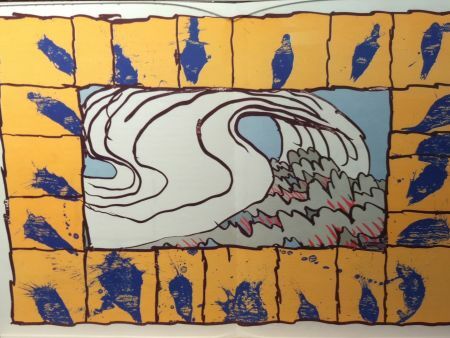 1951 - Studies engraving with Stanley William Hayter in studio 17. 1955 - Vacation in Japan, first major exhibition in the Centre of Fine Arts in Brussels. 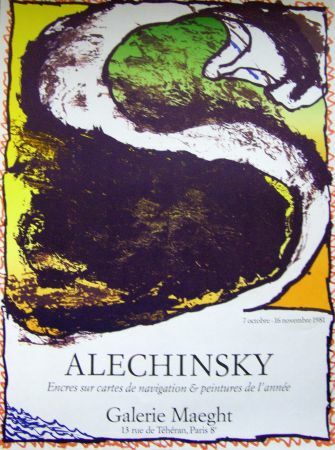 1962 - Alechinsky exhibits regularly in the Lefebvre Gallery of New York and the Gallery of France in Paris. 1965 - The artist creates his first "marginal comments" painting: Central Park. 1966 - Alechinsky publishes "Ideotraces", one of his first significant books on painting, written in 1953. 1967 - Establishes an engraving studio in Bougival. 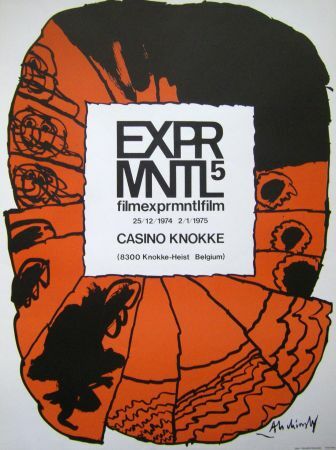 1972 - Represents Belgium, along with Dotremont, at the XXXVI Venice Biennial Exhibition, in the Belgium Pavilion. 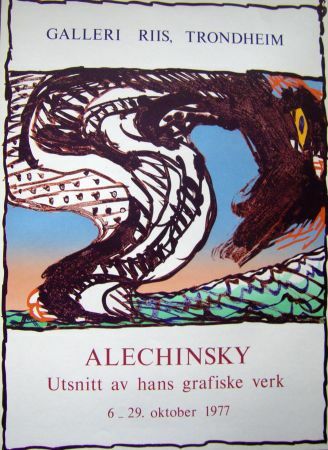 1975 - Alechinsky is exhibited at the Paris Museum of Modern Art. 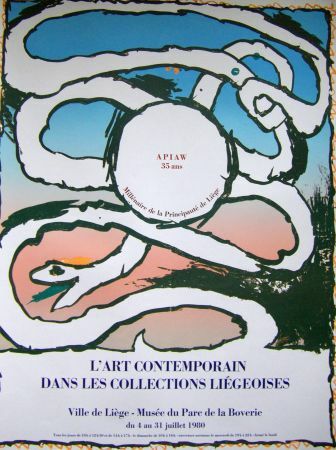 1982 - Exhibition with Appel at the Maeght Foundation in Saint-Paul-de-Vence. 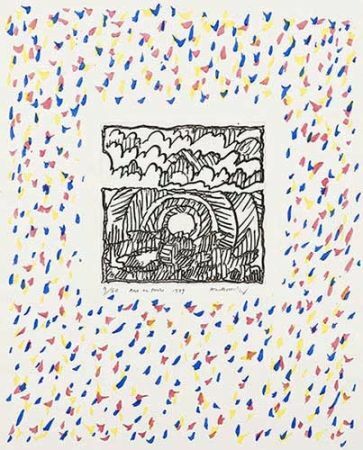 1987 - Pierre Alechinsky: Margin and Center, Solomon R. Guggenheim Museum, New York U.S.A.
1997 - Release of Marginal Comments at Gallimard, Paris. 1955 - Palais des Beaux-arts of Brussels, Belgium. 1956 - Kunsthalle of Bern, Switzerland. 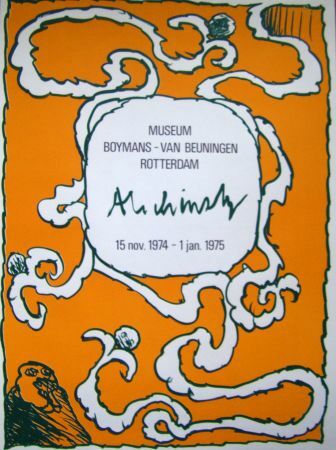 1961 - Stedelijk Museum of Amsterdam and Kuntskring of Rotterdam, Holland. 1963 - Biennale of Sao Paulo, Brazil. 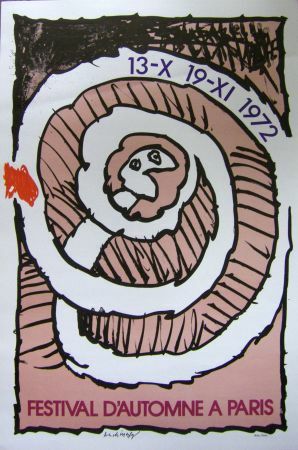 1969 - Palais des Beaux-arts of Brussels, Belgium. 1975 - Museum of Modern Art, Paris, France. 1977 - Museum of Art, Carnegie Institute, Pittsburgh, USA. 1981 - Beaux-Arts Museum, Montreal, Canada. 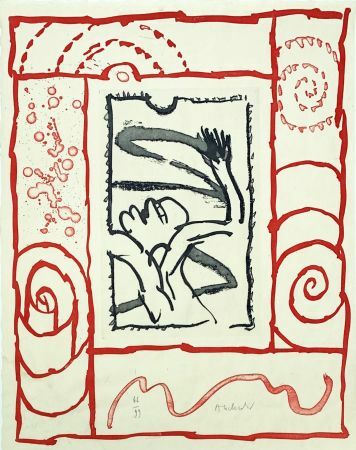 1983 - Museo Espanol de Arte Contemporaneo, Madrid, Spain. 1992 - Fine Arts Museum, Taipei, Taiwan. 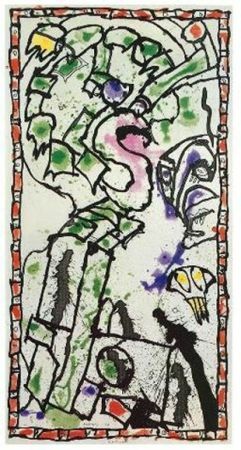 1998 - Galerie nationale du Jeu de Paume, Paris, France. 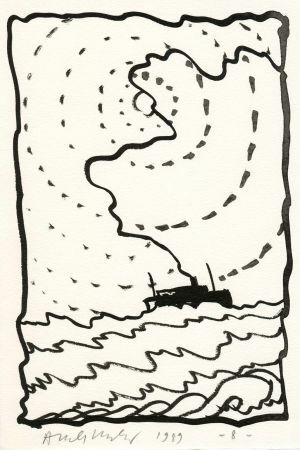 1966 - « Alechinsky, Idéotraces », Ed. Denoël. 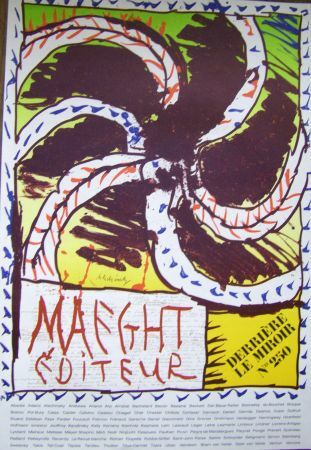 1988 - « Alechinsky, centre et marges », Ed. Musées Royaux des Beaux-arts de Belgique. 1998 - « Alechinsky », Ed. Centre National du jeu de Paume. 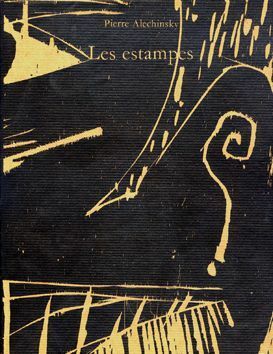 2007 - « Alechinsky de A à Y » from Michel Draguet, Ed. 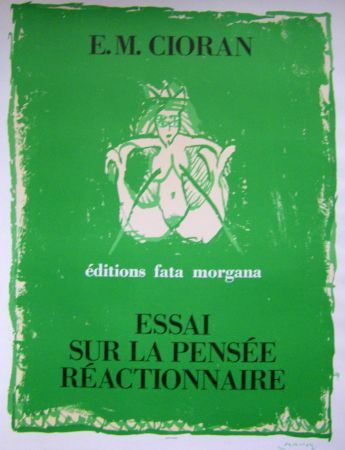 Gallimard. 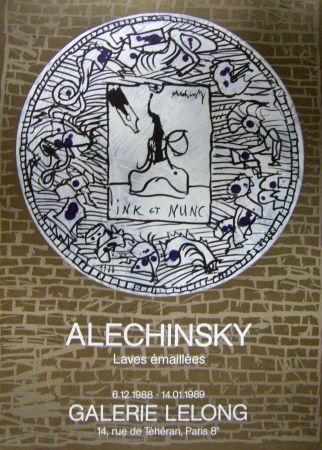 « Alechinsky, the complete books » Ceuleers and Van de Velde publisher. More than 500 books are here described. 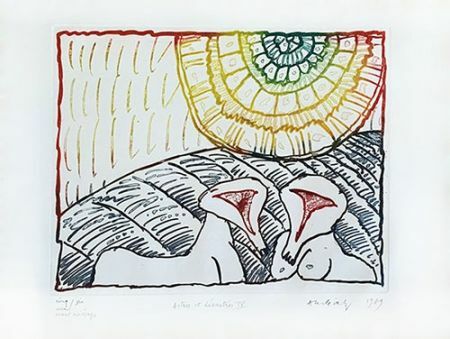 « Alechinsky, les estampes de 1946 à 1972 », reference all the prints of Alechinsky in the period 1946-1972. 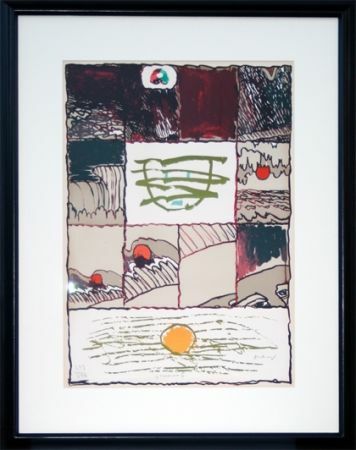 600 original prints are reproduced and described (lithographs, etchings, woodcuts and linocuts). Yves Rivière publisher.